BECOMING A FAN TO SECURE YOUR SUPPLY : YES, many people start young. Why not, it is a fruit that nourishes your life. Yes, you can now become a fan of Malaysian Durian by joining the facebook group and place your annual order to secure the best supply. There are two seasons in a year, July to August and Late November to December. There are many varieties of durians available on the market place, but Malaysian durians are special because of the soil and weather condition the fruit tree flourishes in. 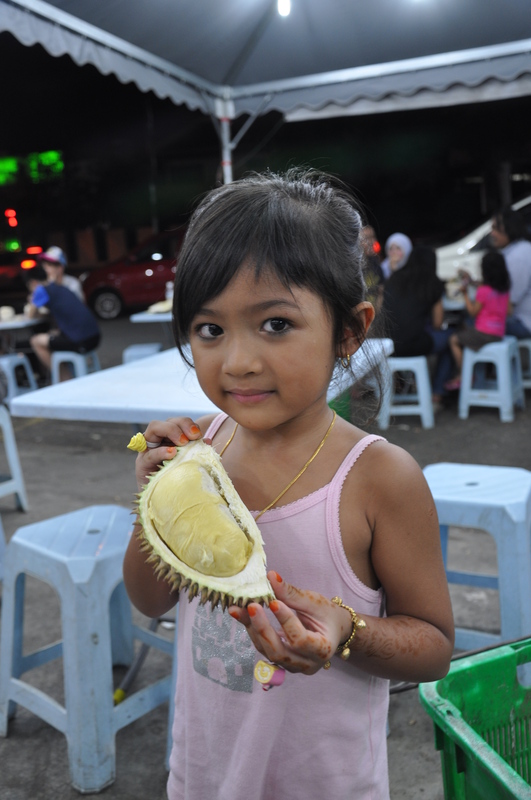 The best durians comes from Penang and Raub in Peninsular Malaysia; in PENANG on the south western foothills of the island at Balik Pulau and around the RAUB area ( state of Pahang), on the foothills of the main range. Frozen durians can be kept for up to a year in duration with its goodness unspoiled. Many people ordered a certain quantity and consumed over the year to keep up their energy level.